daaaaaaaaamn, that was a crazy, wild night of music in September! 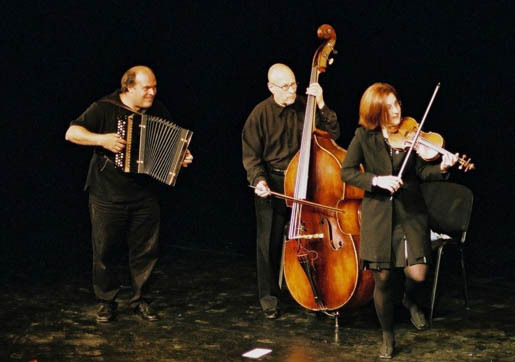 We’re anxiously awaiting October because we’ll be featuring two of our favorite bands; the virtuosic klezmer of Veretski Pass and the unhinged Serbian party band Mano Cherga. But that’s not all! One of our favorite local musicians, Aya Sofia, is making her first appearance with her latest band , Taraf de Locos. Read on! Veretski Pass will open the show with their sublime and intricate interpretations of obscure Jewish music. Taking its name from the mountain pass through which Magyar tribes crossed into the Carpathian basin to settle what later became the Austro-Hungarian Empire, Veretski Pass offers a unique and exciting combination of virtuosic musicianship and raw energy that has excited concertgoers across the world.The trio plays Old Country Music with origins in the Ottoman Empire, once fabled as the borderlands of the East and the West. In a true collage of Carpathian, Jewish, Rumanian and Ottoman styles, typical suites contain dances from Moldavia and Bessarabia; Jewish melodies from Poland and Rumania; Hutzul wedding music from Carpathian-Ruthenia; and haunting Rebetic aires from Smyrna, seamlessly integrated with original compositions. Veretski Pass recently performed at the Concertgebouw Concert Hall in Amsterdam, and their CDs have repeatedly been on the 10-best recording lists of journalists. 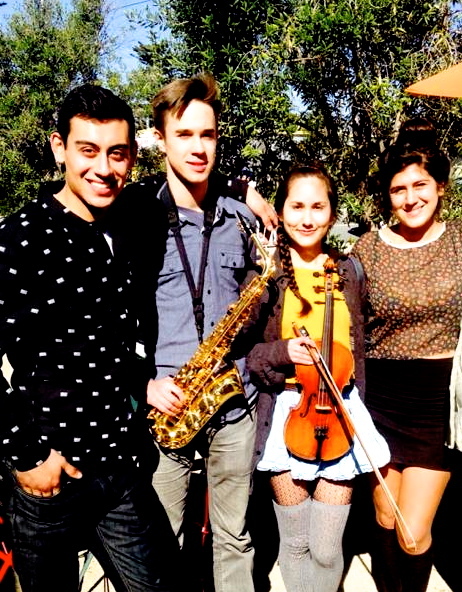 Taraf de Locos is a group of talented young musicians who grew up together. They met as children at a magical music camp in the heart of California, where traditional music from all over the world showered them every minute for ten days every year. Their sound is very natural and diverse. They play a mix of songs and tunes from Spain, Romania, Macedonia, Albania, Greece, Turkey, Tajikistan, Brazil, Columbia, Cuba and Mexico. As best friends, they bring a fun-loving energy that is genuinely contagious. Taraf de Locos features Aya Safiya on violin and vocals, Cecilia Cassandra Peña-Govea on trumpet, guirra and vocals, Miguelito León on percussion and vocals, and Tano Brock on guitar, saxophone and vocals. Growling of the tuba, wailing of the accordion, clinking of the glasses, wind from the skirts on the dance floor, sweat running down your back, a smile on your lips and tears in your eyes. That’s Mano Cherga! An Eastern European party band, Mano Cherga always take things to the brink of sanity. Now featuring Haluk Kecelioglu (of BBB favorite Radio Istanbul) on violin. 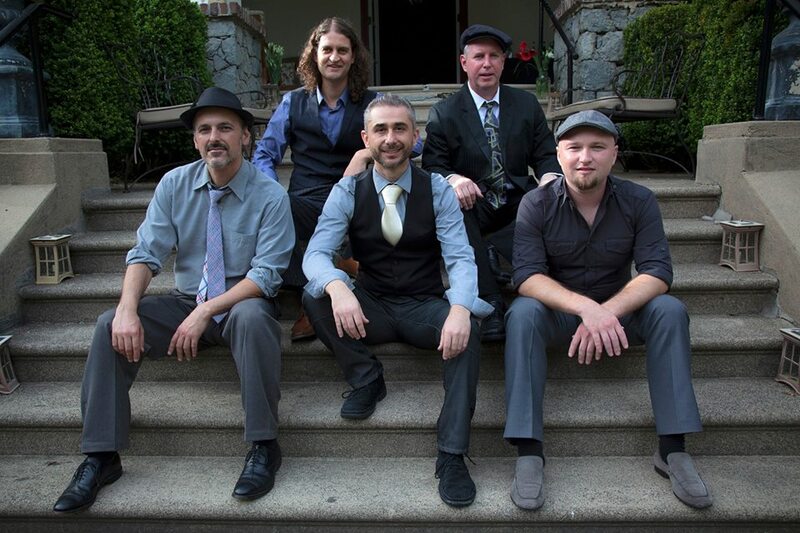 The Berkeley Balkan Bacchanal is a music series held on the 2nd Friday of each month at Berkeley’s Starry Plough Pub. Each month we feature 3 local bands that showcase the diversity of Balkan music and Bay Area musical talent.